A box of tummy-flutteringly wondrous munchy things. 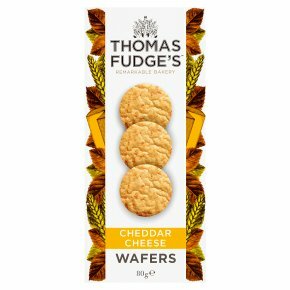 Suitable for vegetarians.Wildly indulgent, intensely flavoursome rounds of creamy cheesiness - an outrageously addictive nibble no kitchen cupboard should be without. Satisfyingly dainty, they're just the thing for drinks party snacking and pair perfectly with a post-work gin and tonic.